Through videos, virtual classrooms, resource centers, and more, education technology solutions have been able to provide cutting-edge methods for learning while also making it more interactive, adaptive, integrated, and effective. 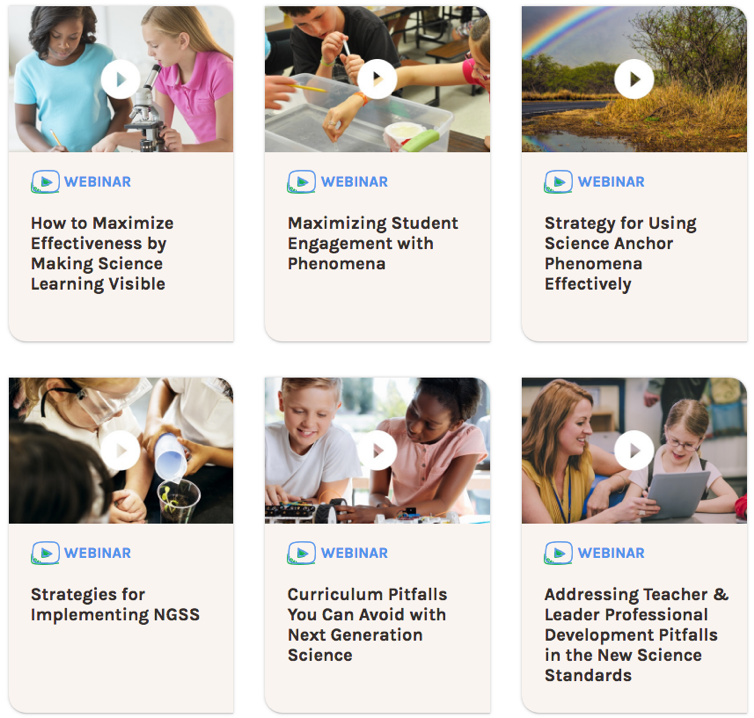 These advanced learning tools blend the benefits of in-person, teacher-to-student learning with online tools, resources, methods, and knowledge for a better experience based on data. But getting them in front of educators and into the classroom requires an effective digital marketing strategy. 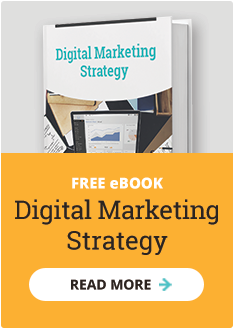 While every education technology solution’s approach to marketing will be different, we wanted to share a few solutions that have great examples of digital marketing in place. These are just a few of our favorite innovative and powerful solutions working to make the classroom a better place. Campus Labs is an education technology solution for higher learning. 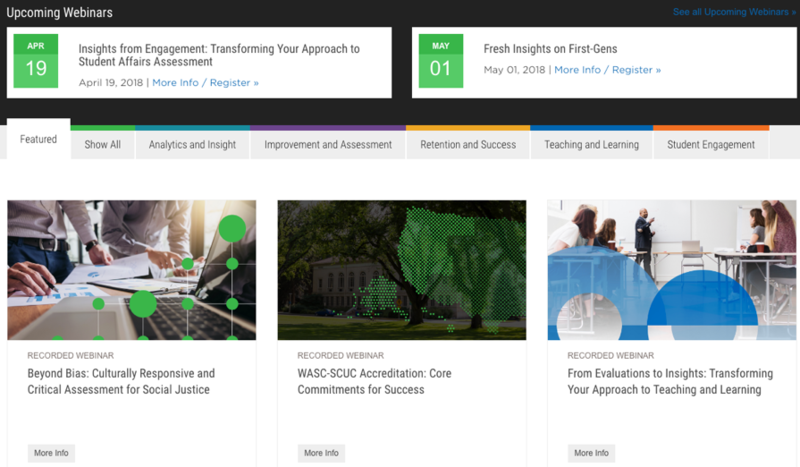 The idea is to help faculty and professors succeed by providing a campus-wide centralized hub that provides detailed insight into the academic journey. It offers tools such as course evaluations, outcome assessment for each course, and more. The solution is also designed to engage students by providing accessible pathways to co-curricular opportunities. What do we love about their online marketing? Their blog. It is more than just a series of written articles. It’s a community that offers readable content on student success, webinars on teaching approaches, and podcasts on the student experience. Visitors can explore the blog based on topic or type of content to gain a variety of fresh insight. KnowAtom offers complete curriculum focused on STEM (science, technology, engineering, and math) . It offers lesson plans, hands-on materials, and online resources that can be used in conjunction with in-classroom learning for a more interactive experience. The idea behind KnowAtom is that it helps teachers build a big-picture narrative of science and engineering for kindergarten through eighth-grade students. When it comes to helping people read and write, Texthelp is one of the premier education technology solutions. It offers solutions for both the educational environment and the workplace environment, specifically focused on individuals with learning difficulties such as dyslexia or visual impairments, English Language Learners (ELL), and English as a Second Language (ESL) learners. There are seven products available for schools, higher education, exams and assessments, private sector companies, not-for-profits, and the government. What gets the digital marketing love? 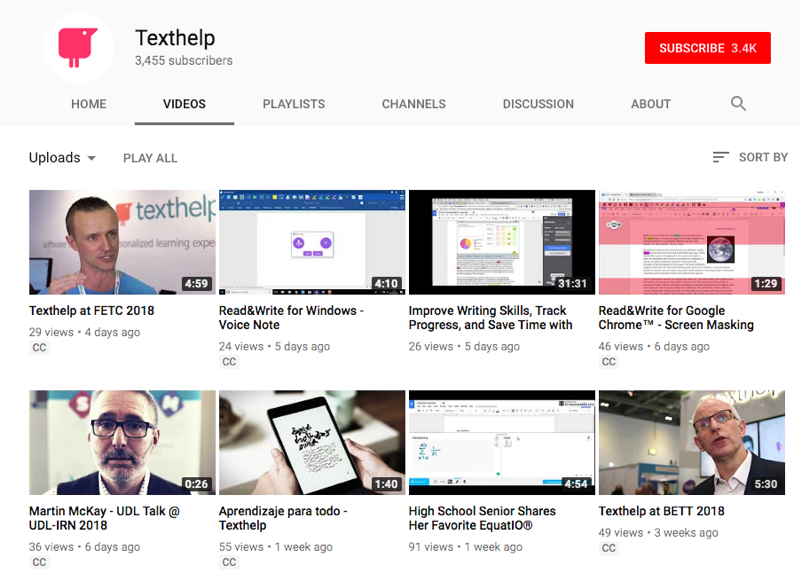 Texthelp’s videos. They share multiple videos every week demonstrating how their various products work and how they can help schools and businesses. On their YouTube channel, they have everything from short intro videos to thirty-minute in-depth looks into how they can help improve writing skills. Their videos are a valuable resource for anyone looking to better understand Texthelp and the issues facing those with learning disabilities. PowerSchool is an education technology solution that’s all about creating a unified classroom and school experience. There are solutions for teachers, superintendents, tech directors, administrators, students, and parents. The idea is to put everything in once place for a 360-degree view of the student classroom experience. Teachers can use the platform to track student behavior, performance, events, assessment applications, instructional strategies, and more. It offers everything from biometric scanning for classroom attendance to interactive learning activities performed in and outside the classroom. What do we love about Powerschool’s digital marketing? The resources it offers its users, particularly its white papers and eBooks. 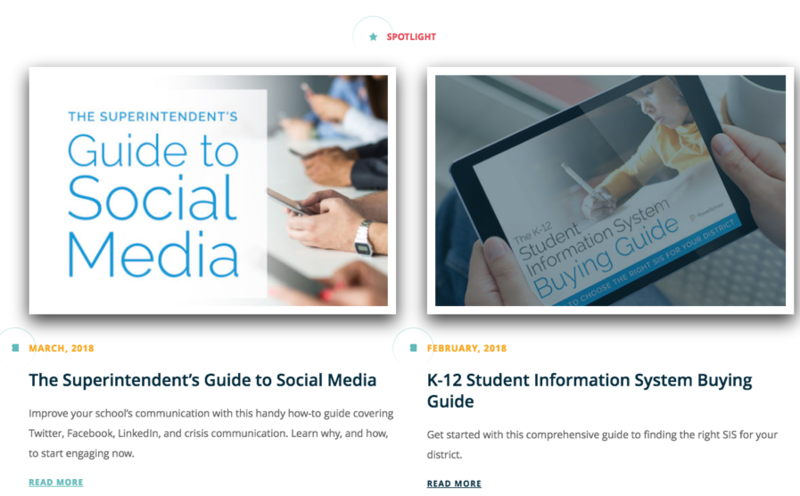 Approximately once a month, PowerSchool dives into how to use its edtech solution for a specific goal whether that’s to improve school communication or to boost a school district’s bottom line. The key is that they take time to examine and share the many different ways to navigate the path of adding technology to the classroom, instead of simply sharing product info. Users can save time, money, and resources with Learnosity. 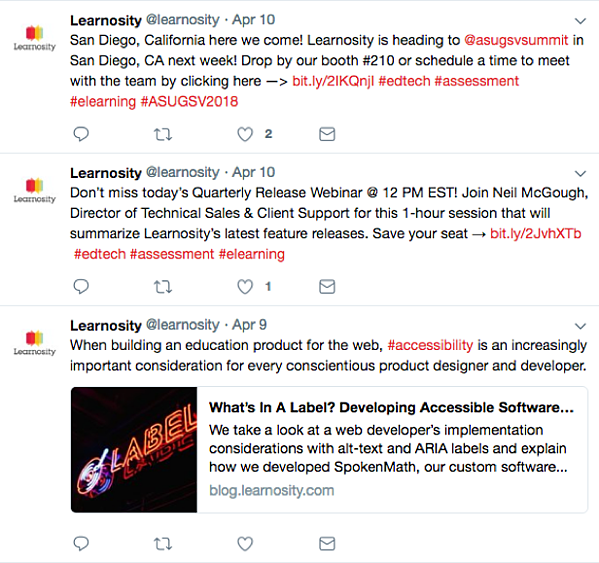 As an education technology solution, Learnosity is a premier assessment tool that can be tailored for your needs no matter the subject matter—math, world languages, science, vocational training, and even corporate training. The powerful platform allows you to create robust assessments with a variety of question types to engage learners and receive instant results. We love Learnosity’s use of social marketing. Social media is a powerful digital marketing tool that Learnosity takes full advantage of. The company shares on Facebook, Twitter, and LinkedIn regularly. They provide education insights through their blog, engage their followers through webinars, share their upcoming events, and more. Plus, they remember to include links back to their website in their posts. However, one improvement they could make is to include social icons on their website to make it easier for visitors to engage with them. Education technology companies provide powerful solutions for connecting educators and students in a variety of ways. The key to standing out in the edtech space is having an impressive digital presence that reaches your future customers with a solution for their challenges inside and outside the classroom. If you're interested in improving your digital marketing strategy, reach out to schedule a 30-minute meeting today.